Today in Masonic History Frank Woodruff Buckles is born in 1901. Frank Woodruff Buckles was an American veteran of World War I.
Buckles was born on February 1, 1901 in Bethany, Missouri as Wood Buckles. He came from a family of long lived individuals. For example he remembered having conversations with his grandmother who was born in 1817. In 1903 he and his brother contracted scarlet fever. His brother passed away from the illness. In 1916 the family moved to Oakwood, Oklahoma where he continued the education that he had received in Missouri. He also took a job in a bank to help the family. "There was never a shortage of blown-up bodies that needed to be rushed to the nearest medical care. The British and French troops were in bad shape – even guys about my age looked old and tired. After three years of living and dying inside a dirt trench, you know the Brits and French were happy to see us "doughboys." Every last one of us Yanks believed we’d wrap this thing up in a month or two and head back home before harvest. In other words, we were the typical, cocky Americans no one wants around, until they need help winning a war." Buckles would also remember the sight of malnourished children he encountered while in France. After the Armistice in 1918, Buckles escorted German prisoners back to Germany. One of the prisoners gave Buckles a belt buckle that said "Gott mit uns" which translates to "God with us." Buckles was honorably discharged in 1919. In 1922 and 1923 he served with the New York National Guard in New York City where he also worked in financial services. Buckles started a career as chief purser on cargo and passenger ships traveling the World. In the 1930's concerns about Germany arming for war were often discussed by passengers with Buckles during travels in the Atlantic. Buckles recalled later in life that he witnessed antisemitism first hand while in port in Germany. He said he also warned German acquaintances that Adolph Hitler would bring down their country, this was after a chance encounter in a hotel between Buckles and Hitler. As the war in the Pacific was just about to start, Buckles was working for shipping companies in the Philippines. After Japan invaded the Philippines Buckles was captured as a civilian and placed in Santo Tomas and Los Baños prison camps. There he was fed small meals of mush in a tin cup, an item that he would keep the rest of his life. He contracted beriberi, a vitamin B1 deficiency caused by a diet consisting solely of white rice. Despite the illness and getting down to just 100 pounds he led other prisoners in calisthenics. He would by released in a raid by allied forces in February of 1945. In 2008, Buckles became the last surviving veteran of World War I. Using his "celebrity" of being the last survive of World War I he became the oldest person to testify before Congress in an attempt to get a World War I memorial in Washington, D.C. 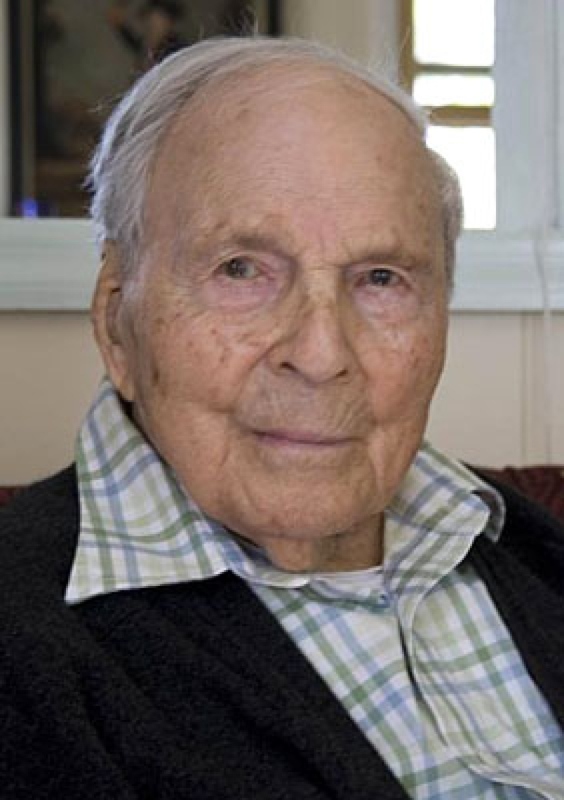 He was also interviewed about surviving to be a centenarian. In at least one interview he stated that being hopeful and not hurrying were key traits. He added that "When you start to die ... don't." Buckles passed away on February 27th, 2011 at the age of 110 (and 26 days). He passed away from natural causes and at the time of his passing was the second oldest person living in the United States. Buckles lodge affiliation is not known, he was a member of the Ancient Accepted Scottish Rite and received his Knight Commander of the Court of Honor (KCCH) in 2008. He was also a member of Osiris Shriners in Wheeling, West Virginia. and became known as "the oldest Shriner in Shrinedom."